gilded in silver lining, in happiness brim. we laughed them off, that's what I'll remember. like them be strong for me or I will wither. hold on to them with me till the day I die. let tomorrow be a gift lovely as today. 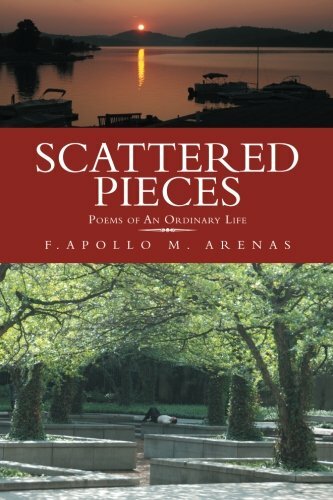 Note: This poem is excerpted with the author's permission from the book Scattered Pieces: Poems of An Ordinary Life by F. Apollo M. Arenas. Copyright © 2014. All rights reserved.